Welcome to this week's bloghop - and of course it's not #08 - we're up to #18, how amazing! What a gorgeous inspiration picture this week. It's not hard to be inspired by pinks, but the card I finished up with is nothing like what I had initially planned to make. 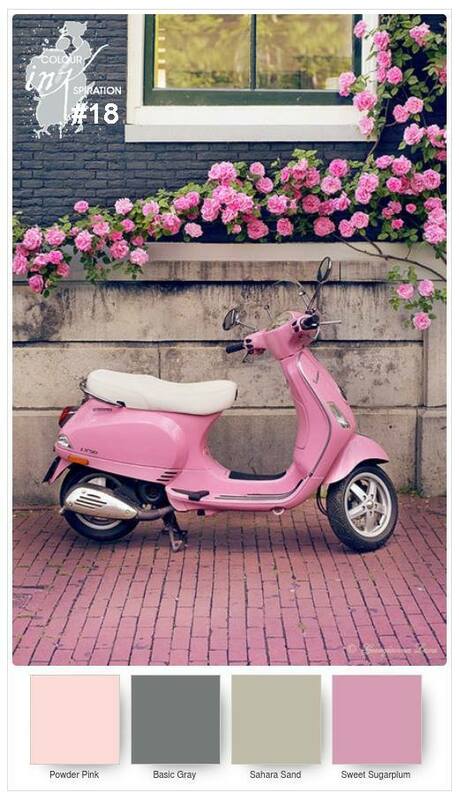 I love the bricks, the mass of flowers, the pink and of course the vesper. 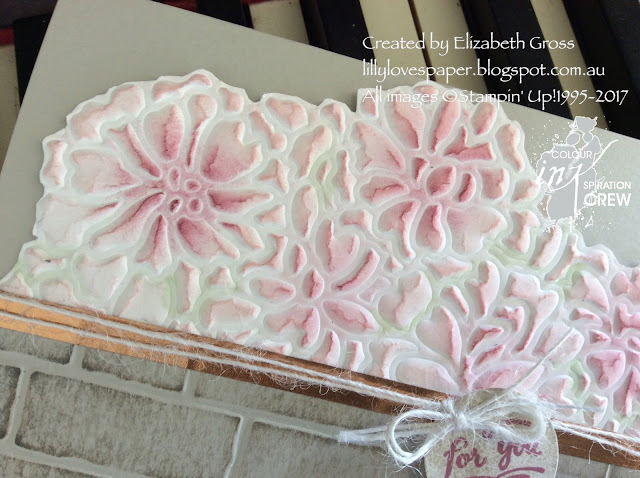 To create this card I have taken the resultant beautiful white embossed panel, fussy cut along the top edge and sponged it with Powder Pink first using sponge daubers, then add a soft layer of Sweet Sugarplum sponged in a circular motion in the centre of each of the main blooms. And lastly added a faint wash of wild wasabi using the aquapainter in the valleys between some of the raised blossoms. 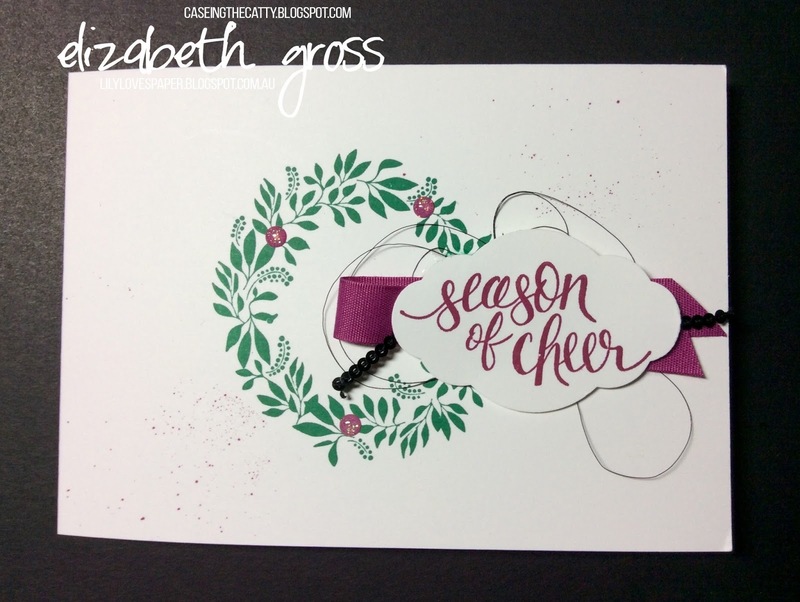 The copper trim is the gorgeous thin washi from the new Year of Cheer Specialty Washi tape and the sentiment is from the Wood Words set. Up next week is Jacque, and her gorgeous style will be well suited to these colours. 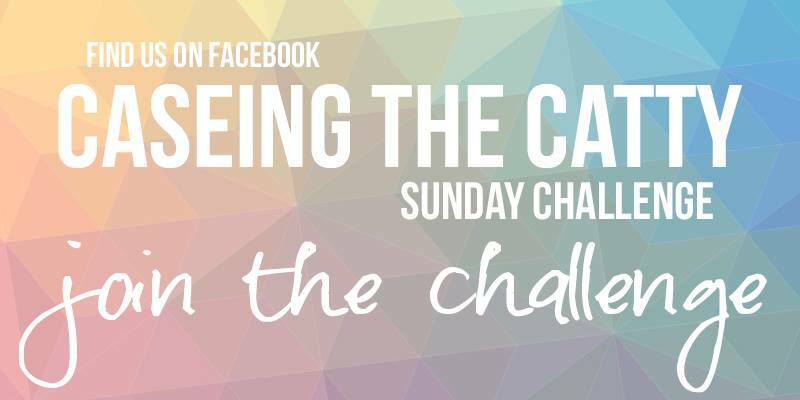 Be sure and hop all the way around for some brilliant inspiration, and don't forget you have 2 weeks to create your own card using the challenge colours and post it to the Facebook page. have fun! 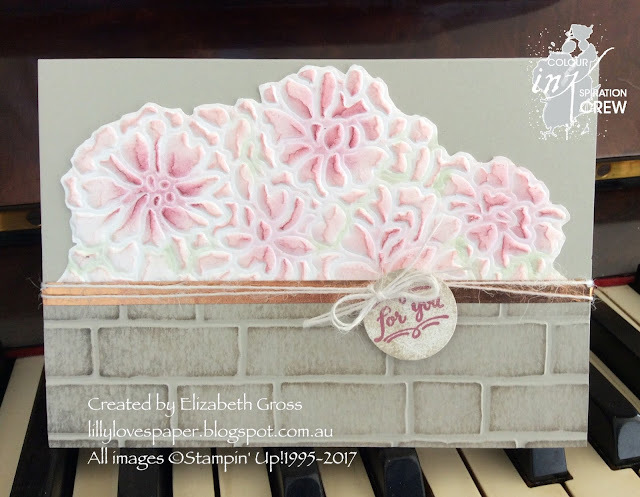 thanks so much to Heather's "So Detailed Thinlits Embossed"
I used the lovely wreath from the Hello lovely set but it's not as big as the image in the kit, and the sentiment took up more room so I flipped it from portrait to landscape. I also add the black metallic thread loops under the ribbon and I didn't even bother trying to add berry burst berries to the wreath as I knew that I would make a mess so I opted to use the berry glimmer dots which were perfect. It still seemed a bit sparse so I added some very fine berry splatters for a touch of texture. I think this would make up quite quickly for a batch of cards- and it would be quite easy in a class situation also. I also CASED the striped card on the far left of the picture and simply used a sponge roller to add some Emerald Envy ink just lightly rolled over the Black and White DSP. I love changing the colour of the DSP this way to suit. I used the same label treatment for the sentiment. 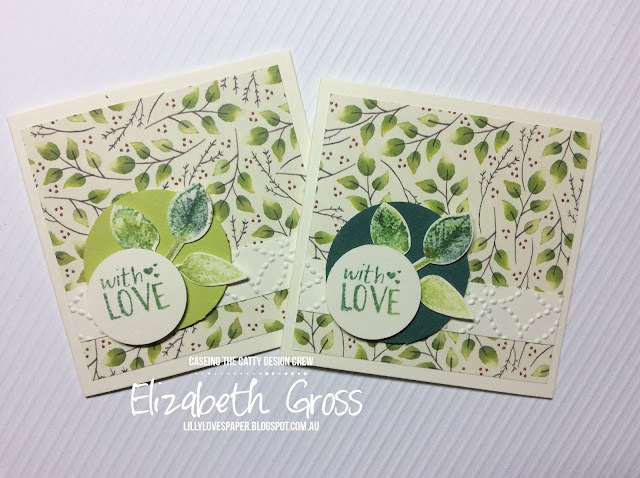 I will confess I tried sponging the edges, painting the edges, drawing a line around etc and in the end came back to a plain white label with sentiment and a simple punched circle behind - but of course green or berry?, round or square? Next time maybe I'll just go for the kit and not fuss!!! Be sure to hop all the way around for some amazing inspiration. And don't forget we love to see what you create too. 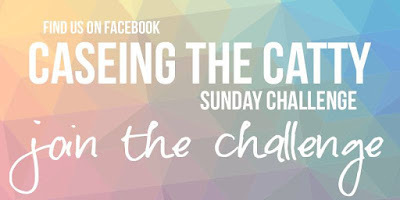 You can post your image on our Facebook page . 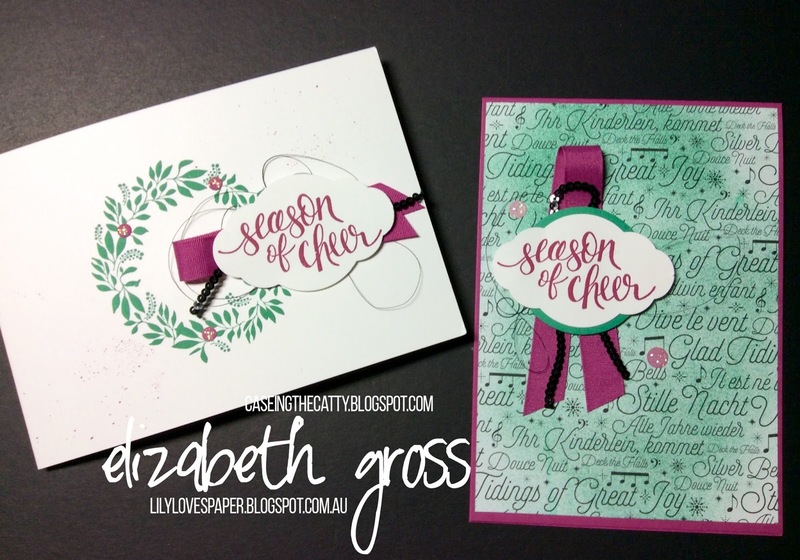 Hello and welcome back for the first round of our Christmas Holiday Catalogue projects. How exciting to be using the Christmas catalogue already. The products in the holiday catalogue are available now and I think there's something for everyone in there. 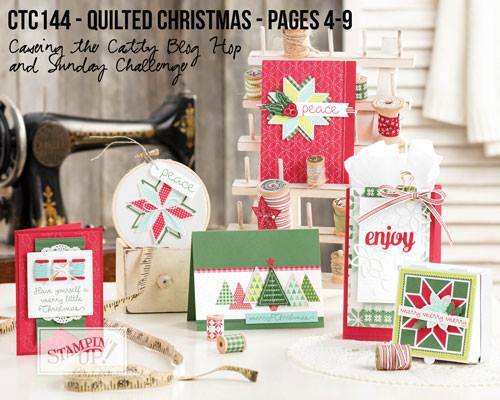 I am CASEing the Quilted Christmas section but using some different products as I am not yet ready to make Christmas cards. 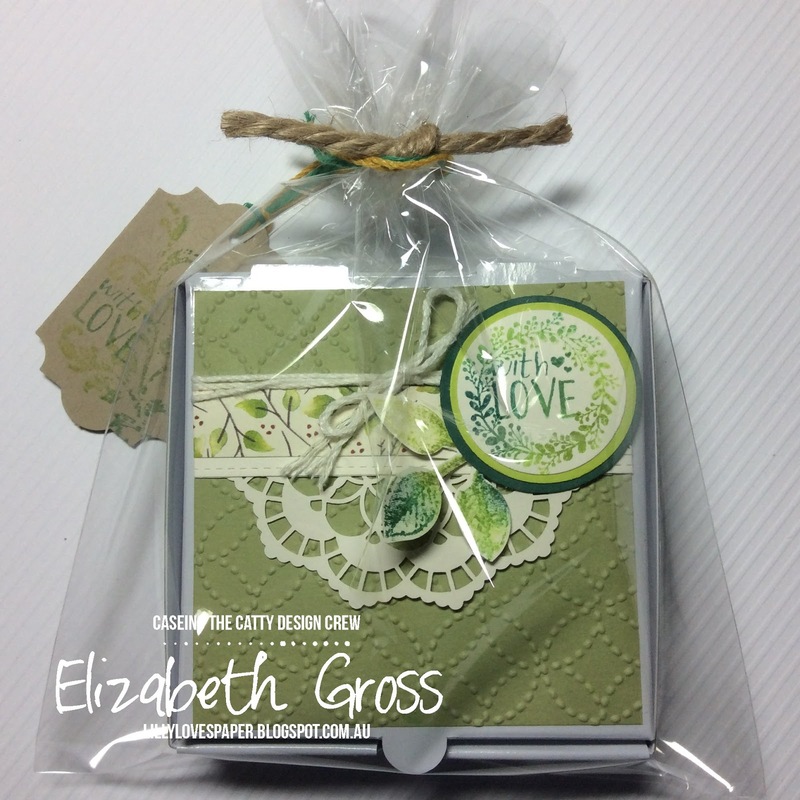 Each gift box contains 4 notecards and 4 envelopes and 4 gift tags. I stamped the leaves from the sunflower set using the babywipe technique. It's such a cool technique and so much fun because you never quite know what patterns you will get with the colours. I used only 3 drops each of Lemon -Lime Twist, Old Olive, and Tranquil Tide. 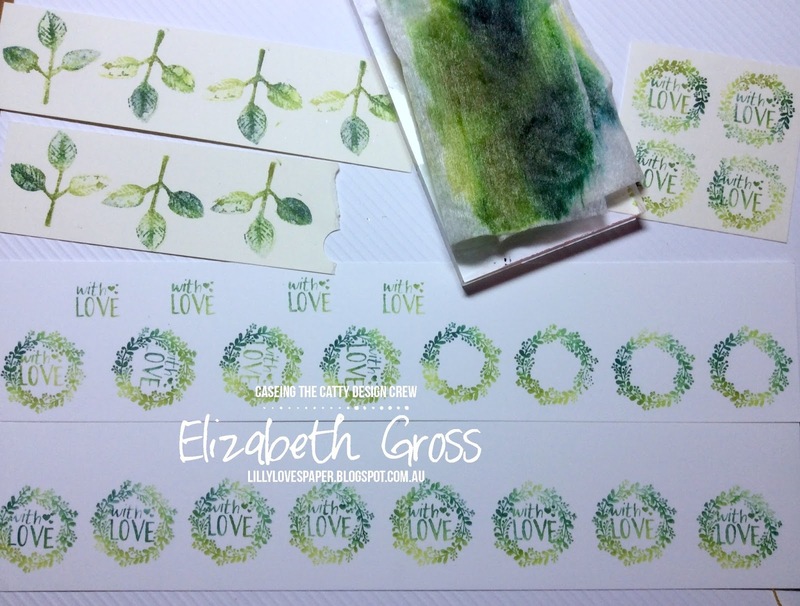 I was able to stamp loads of leaves and then wondered what else I could do to use up some of the ink. The sentiment and the cute little wreath are from the Ready to Pop set - and I have to say again that I think this is one of the most underrated sets in the catalogue. 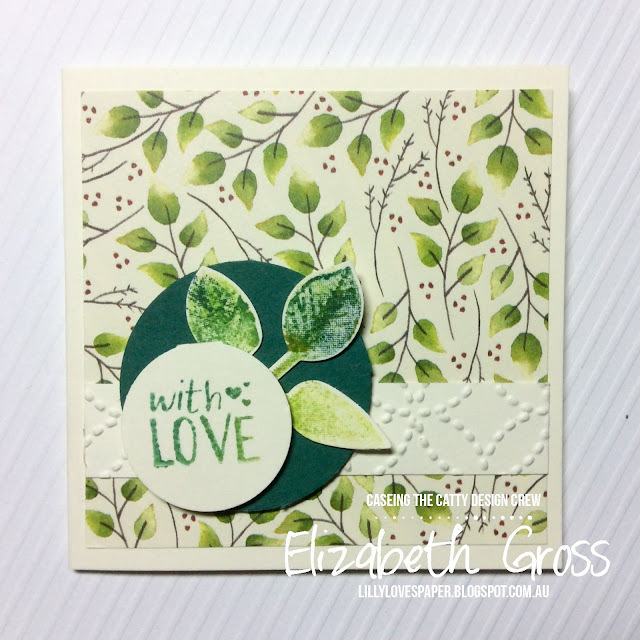 I wanted this set to be quick to put together so the leaf is simply stapled onto the 11/2"circle of plain card. The circle is then glued down and the sentiment ( in a 1"circle ) is simply adhered over the top of the staple with 2 dimensionals. The DSP is so fresh and lovely and is from the new Thanksgiving set. I will be making more of these cute sets for the markets coming up. They are fun for Christmas gifts. The pizza boxes are fabulous, you simply must add them to your order. 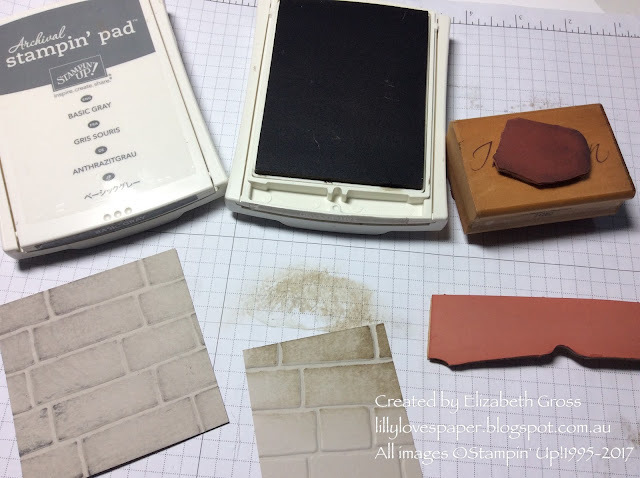 Here's the inkpad and all the extra images I was able to stamp from 9 drops of ink! These will make up quickly for the markets in little gift packs. I have more images of pizza box gift packs which I made up, and you can see them here. I am so glad Stampin' Up! has brought back the little 3 x 3 envelopes and I have to say the Pizza boxes are fabulous. 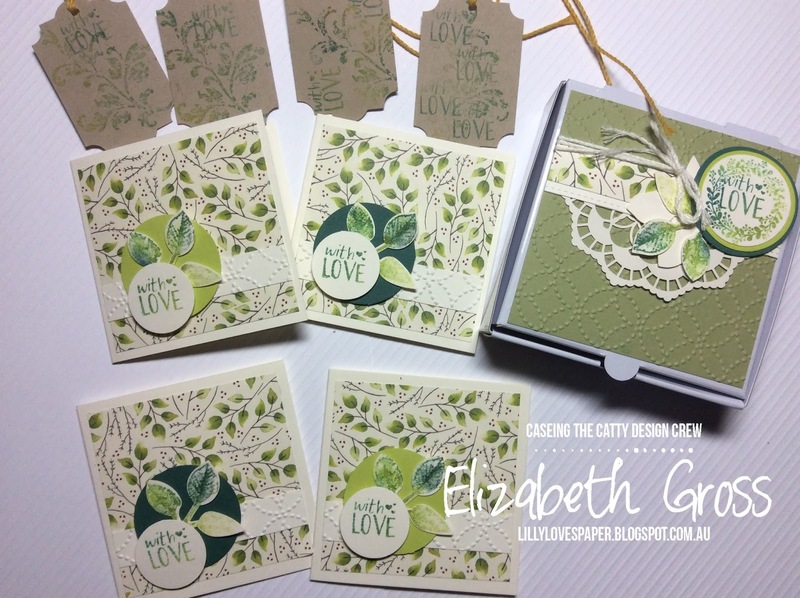 Next on from me this week is our guest designer Cathy Pinchbeck. It's so great to have new players celebrating the catalogue with us. Welcome Cathy. Kathryn is before me this week. 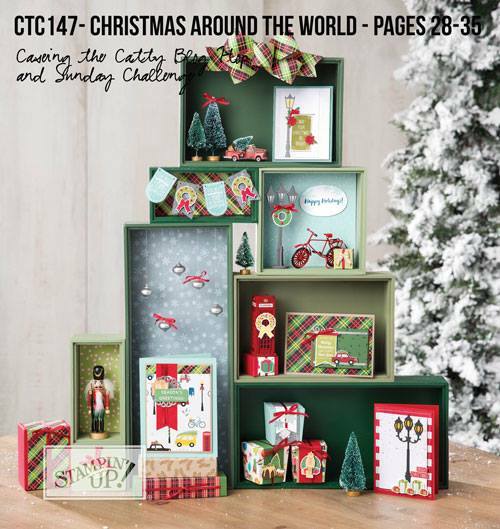 and we'd love to see what you create this week using the holiday catalogue pages 4-9 as your inspiration. Post your creation to our Facebook page. It's easy!